Number #90 is another fabulous Mark Bagley Ultimate Spider-Man cover. 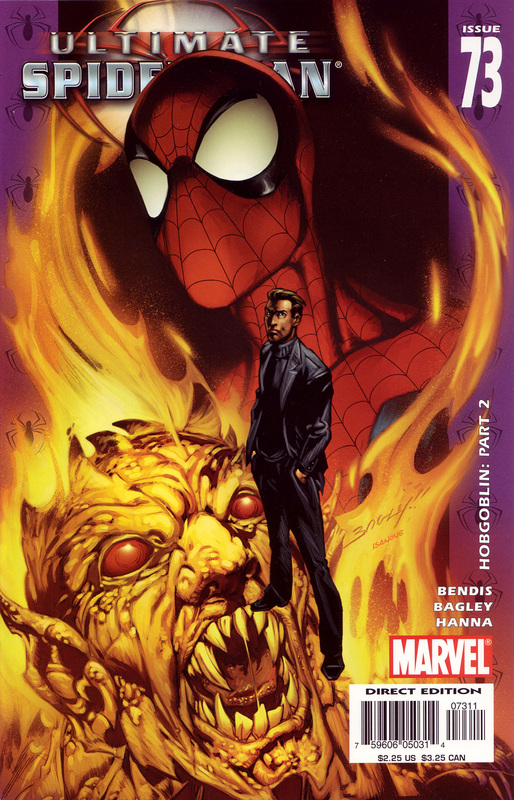 This one features Harry Osborn in the foreground and the demonic image of the Hobgoblin & Spider-Man burning in the background. Wonderfully moody stuff. Get back here tomorrow night for number #89 in the count-down of my Top 100 favorite covers. It’s good, but a bit standard.